Green Valley as a pioneer in the peanuts industry, is setting the industry standards by producing benchmark products. Green Valley ensures its quality starting from the selection of the Seeds through the company’s mycotoxin labs and the treatment of the Seeds with Non GMO Pesticides. The quality department has Full Control Over the fertilization process ensuring the dosage, MSDS, registrations, and approval of all our fertilizers and Pesticides. The agriculture process is entirely controlled through a fully computerized traceability system that can trace back the finished goods to the seeding process. When receiving the raw peanuts at the factories, it has to go through our main peanuts ‘Receiving Lab’which make all the visual, mycotoxin, and chemical analysis for the raw peanuts and approve the receiving of the peanuts. The receiving lab also assigns the storage area to make sure the traceability system is fully implemented. 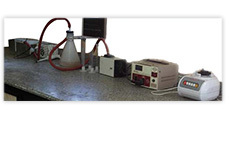 All other raw materials have to be approved from the ‘Central Quality Lab’ of the company. When receiving the raw peanuts at the factories, it has to go through our main peanuts ‘Receiving Lab’ which allows for all the visual, mycotoxin, and chemical analysis for the raw peanuts and approves the receiving of the peanuts. The receiving lab also assigns the storage area to make sure the traceability system is fully implemented. Through all our production we have a dedicated in-process control department making sure the product meets the predetermined steps of each single process of the production cycle. 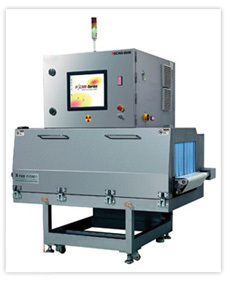 This includes moisture, salt content, Pv , FFA , Size, and the product attributes evaluation for every single product. Green valley is the only facility in Egypt that is using laser sorting technology to guarantee best sorting and aflatoxin free product. This works simultaneously with an automated rejection ‘x-ray’ mechanism that makes sure that all our products are free of any foreign bodies. Our food safety department ensures the correct implementation of the good manufacturing, storage, agriculture and hygienic practices as per the standards of the BRC, GlobalGAP, and AIB standards. The company has a very solid aflatoxin management system that ensures the aflatoxin limit is maintained through the irrigation, storage, and the processing practices. This is also monitored through an entirely dedicated inhouse lab that gives numerical aflatoxin results. 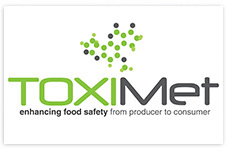 The lab is using the latest analysis technology of toximet UK. 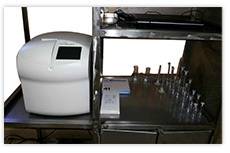 All the final products released from our facilities are subjected to thorough physical, chemical, and myctoxin analysis. As per our quality standards and / or customer specifications if specified, all our products come with a ‘COA’ stating all the final product analysis.